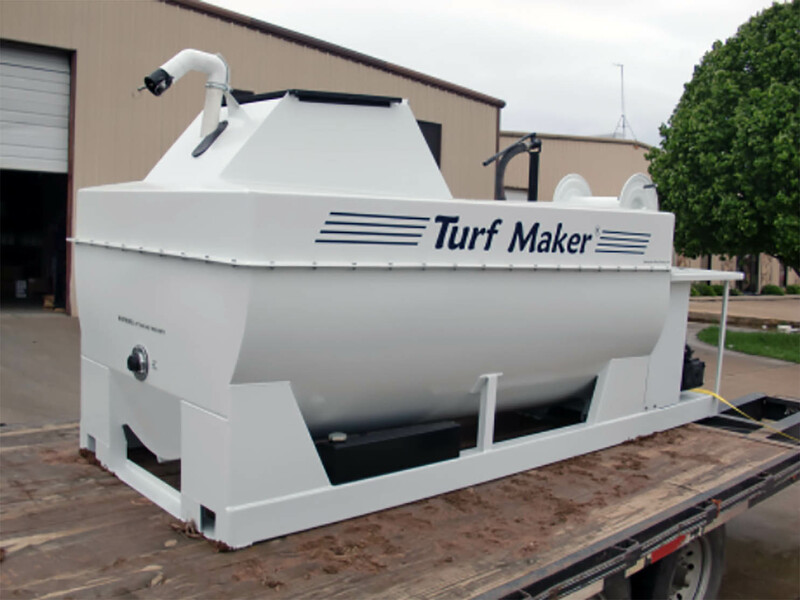 Model 325 “Low Profile”, skid mounted, with optional storage reel. 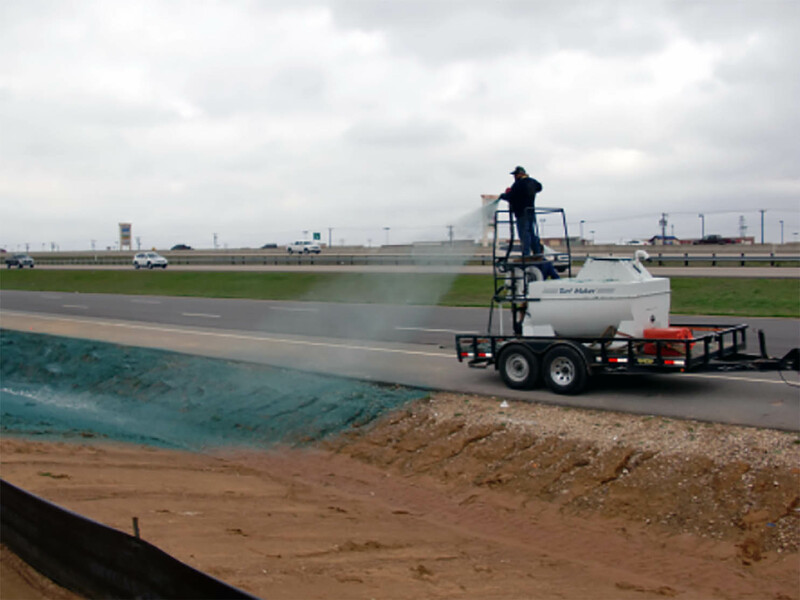 Model 550 “Low Profile” on customer trailer spraying from the optional platform tower gun. 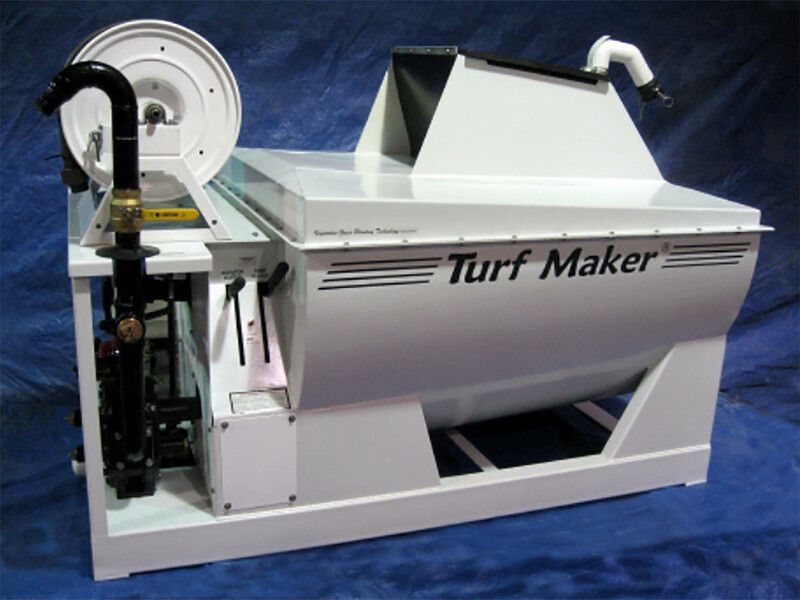 Model 800, options – TurfMaker trailer, TurfMaker hose on storage reel, platform tower, and 50 gallon clear water tank. 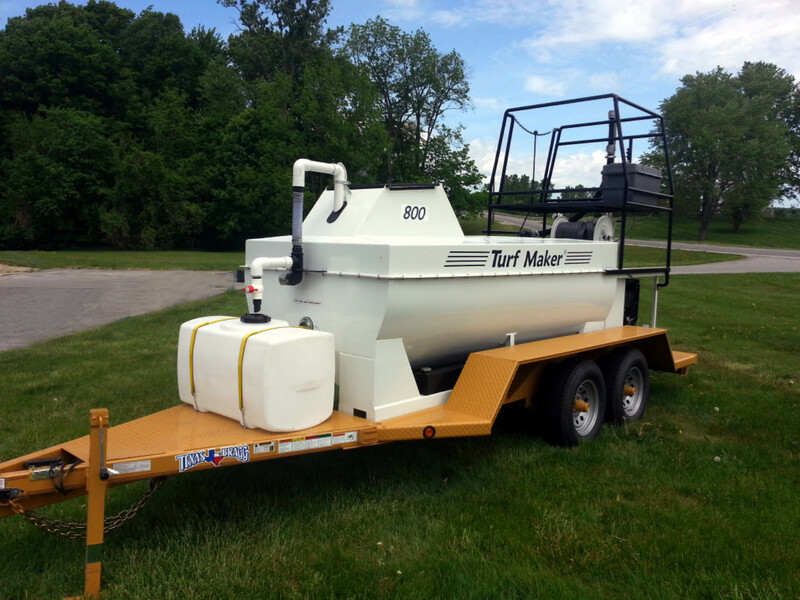 Model 1000 “Low Profile” with gas engine, mechanical drive, 50 gallon clear water tank on customers 5th wheel trailer. 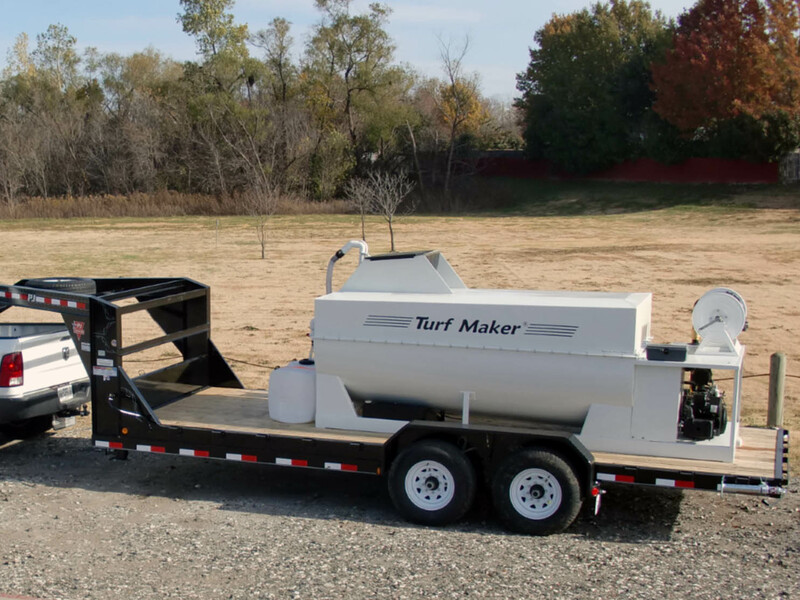 Model 700 “Low Profile” Mechanical Drive System on Flat Bed Trailer. 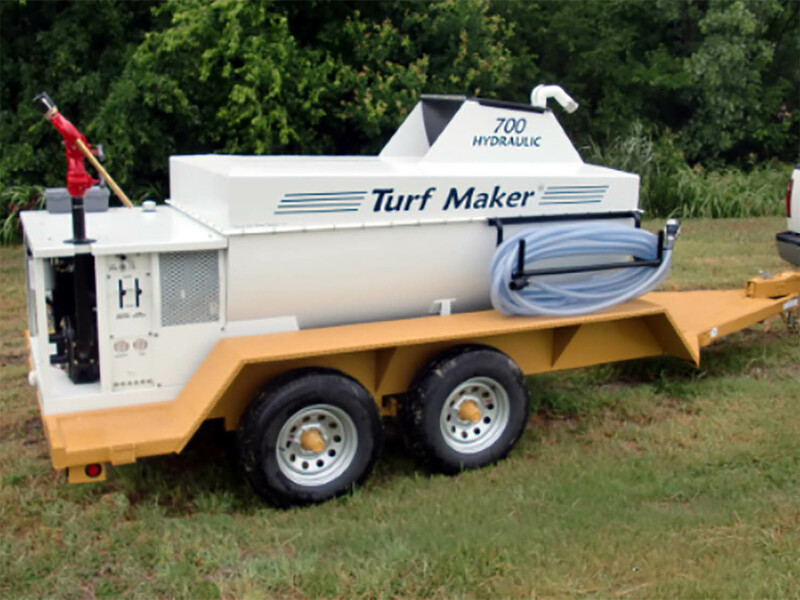 Model 700 on a TurfMaker trailer, hydraulics, polyflex hose & hose rack, and long distance gun (without tower platform).